Hand written Thank You notes are not uncommon around our office. 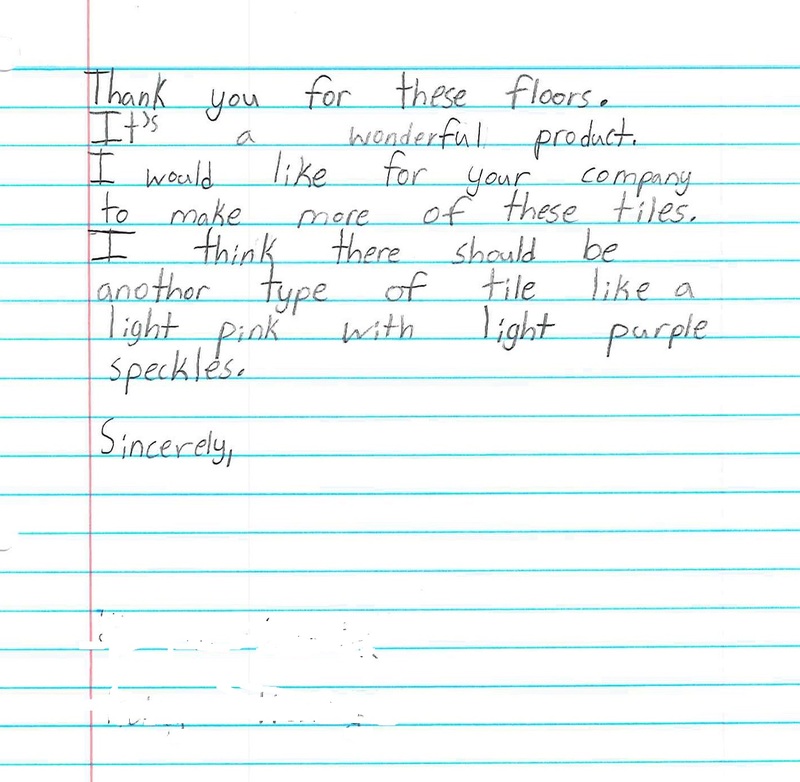 Most Thank You notes are praising our excellent staff, quality of work, dedicated team members and so on. 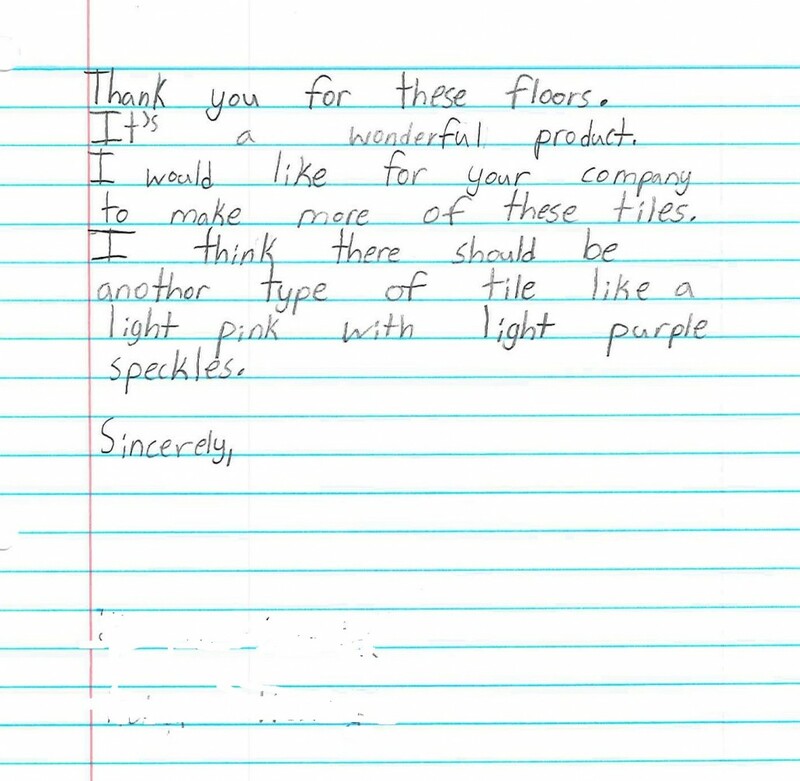 However, we have never received a Thank You note from an Elementary School Student describing her love for new flooring. 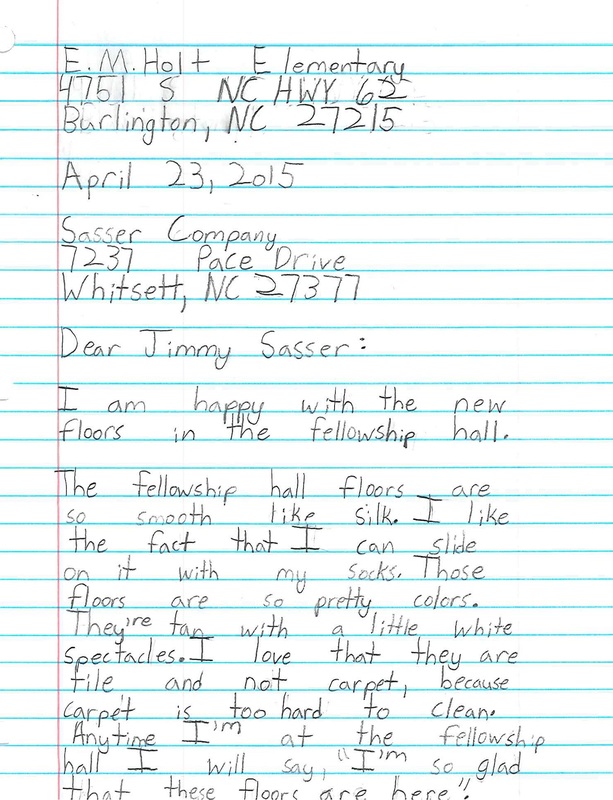 Please see attached photos of her letter that was mailed in from her School’s address. It brought smiles and happiness to everyone around the office. 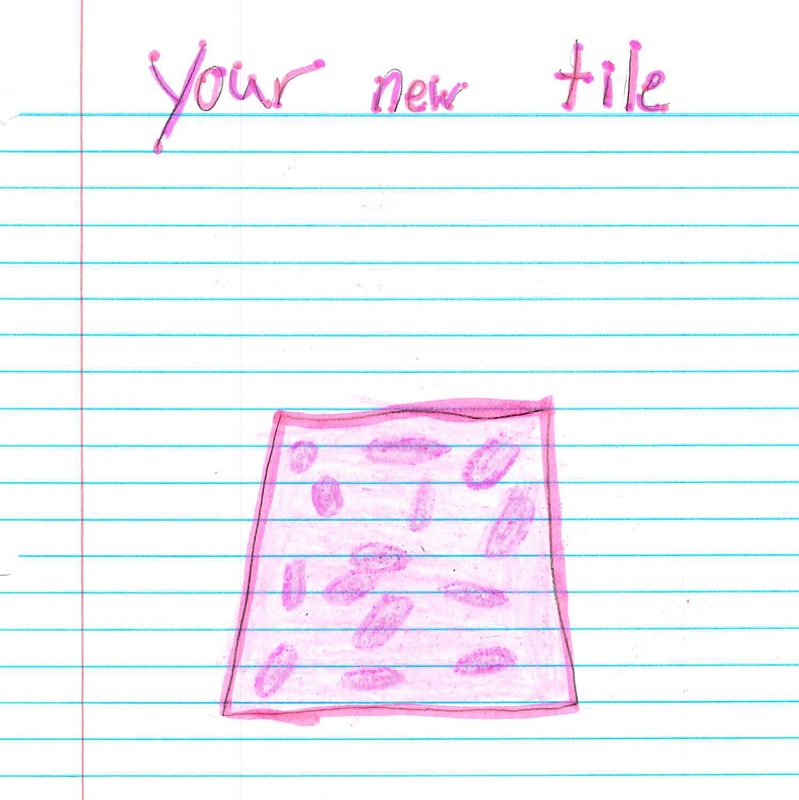 This child (whose name will remain anonymous) was so polite and kind throughout her letter, we felt it necessary to share!